지난 봄 '서정시'에 관한 수업을 들으며 윤동주 시인의 시를 미국학생들과 함께 읽을 기회를 갖게 되었다. 그동안 윤동주의 시가 여러 분들에 의해 영어로 번역되었지만, 주로 의역되었고 최근의 원전연구를 통해 본문이 확정되기 전에 번역된 것들이라, 원문의 의미에 충실하지 못하다고 생각되어, 부족하지만 몇 편을 영어로 번역했다. 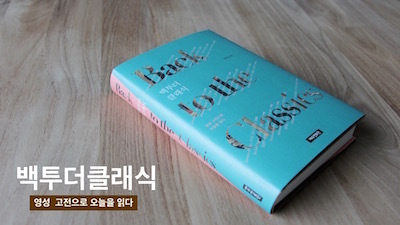 한글 원전은 윤동주 저, 홍장학 편, 《정본 윤동주 전집》 (서울: 문학과 지성사, 2004)에서 가져왔다. The Korean texts of below poems came from Dong-Joo Yun, The Original and Complete Works of Yun Dong-Ju [정본 윤동주 전집] ed. Jang-Hak Hong (Seoul: Moonji Publishing, 2004), 105, 106, 122, 124. The English translations are by Hyeokil Kwon. 살구나무 그늘로 얼굴을 가리고, 병원 뒤뜰에 누워, 젊은 여자가 흰옷 아래로 하얀 다리를 드러내놓고 일광욕을 한다. 한나절이 기울도록 가슴을 앓는다는 이 여자를 찾아오는 이, 나비 한 마리도 없다. 슬프지도 않은 살구나무 가지에는 바람조차 없다. 나도 모를 아픔을 오래 참다 처음으로 이곳에 찾아왔다. 그러나 나의 늙은 의사는 젊은이의 병을 모른다.나한테는 병이 없다고 한다. 이 지나친 시련, 이 지나친 피로, 나는 성내서는 안 된다. 여자는 자리에서 일어나 옷깃을 여미고 화단에서 금잔화 한 포기를 따 가슴에 꽂고 병실 안으로 사라진다. 나는 그 여자의 건강이—아니 내 건강도 속히 회복되기를 바라며 그가 누웠던 자리에 누워본다. Veiling her face with the shade of an apricot tree, lying on the backyard of a hospital, a young woman takes a sunbath with her white legs exposed beneath her white dress. Even though half a day has declined, nobody, not even a butterfly, has come to see her, who is known that her heart is sick. On the branches of the apricot tree, which is not sad, there isn’t even the wind. After enduring for a long time the pain that I don’t know, I have come here for the first time. However, my aged doctor does not know a young person’s illness. He says I don’t have a disease. This excessive ordeal, this excessive fatigue, I should not get angry. The woman rises up from her place, adjusts her dress, picks a marigold from the flowerbed, pins it on her heart, and disappears into the ward. Hoping her health—also my health will be quickly recovered, I try lying on the place where she lay. They shall be sad forever. even by the wind rising between the leaves. I shall love all things dying. the road given to me. Tonight, again, the star is grazed by the wind. 나는 나의 참회의 글을 한 줄에 줄이자. 왜 그런 부끄런 고백을 했던가. what dynasty’s relic is it? Let me curtail my writings of penitence into one line. what joy have I longed for in my life? I have to write again a line of confession. did I make such a shameful confession? * Originally, this poem has no title. Yun Dong-Ju placed this poem, instead of a forward, on the back of the front cover of his collection of poems, the Sky, Wind, Star, and Poem [하늘과 바람과 별과 시], which he intended to publish in commemoration of his college graduation. See, Jang-Hak Hong, The Study of the Original and Complete Works of Yun Dong-Ju [정본 윤동주 전집 원전연구] (Seoul: Moonji Publishing, 2004), 340.